Language through a Painting: Looking at Las Meninas by Diego Velazquez and learning vocabulary together with what else is going on in the painting. Pablo Picasso’s Guernica and Paolo Uccello’s The Battle of San Romano: similarities and differences. La Malinche: the Story of a Mexican Woman through Art looks at depictions of this Native Mexican Indian translator. The dominant role of women in Latin American Folk Arts and Craftwork. A series of four talks and discussions on The Evolution of Latin American Art from pre-Columbus to Contemporary. Colombian Artist Fernando Botero: The Interpretation of the Renaissance Portrait. Two Women artists of Mexico: A look at the art of Remedios Varo and Leonora Carrington: Surrealism and Fantasy Realism. 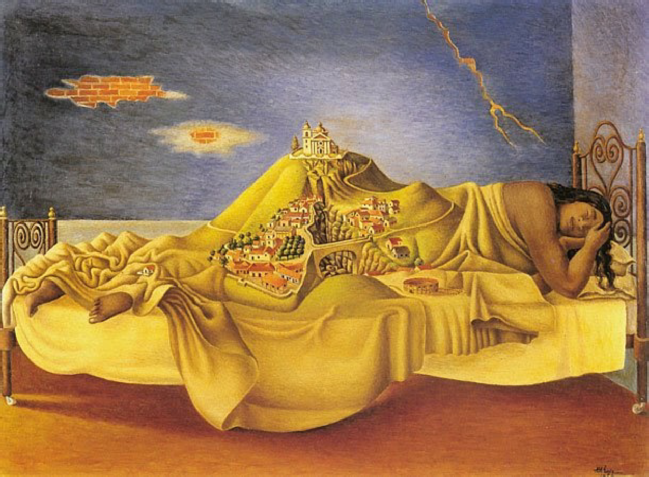 The Mexican Muralists: the History of Mexico through the eyes of Diego Rivera, José Clemente Orozco and David Alfaro Siqueiros. Talks can be tailored to specific subjects. For all upcoming talks, please check here.